"On the 6th of this month came Hurricane Fran--a night of stormy wind and heavy rain, waking without electricity, reading with an oil lamp, cold breakfast, wind, rain. By about 2 the wind died, but still no lights. Then as evening approached and I was about to light the oil lamp, there was a knock at the door. I went, a UPS parcel. 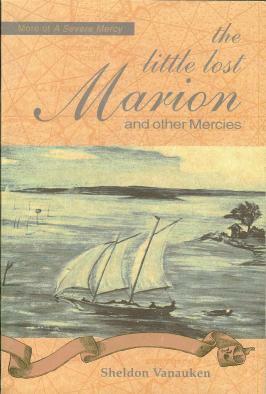 The first copy of my book The Little Lost Marion & Other Mercies or LLM from Franciscan University Press. I looked at it in the dimness, thinking what a pity--no lights: and they soundlessly flashed on. Beautifully timed! . . . A handsome, quality paperback, with Davy's painting on the cover. Grey Goose."